Britain has embarked on its first nuclear power station in 20 years, which will start delivering energy to 7 million homes from 2023. The deal agreed by UK, France and China will also cut consumer fuel bills by more than £75 a year from 2030. 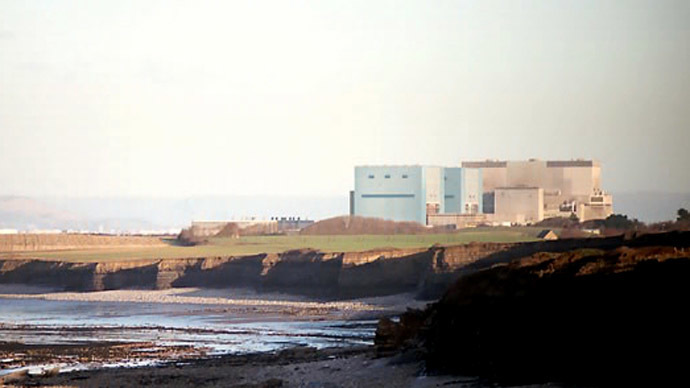 China will team up with Electrcite de France SA (EDF) to build two nuclear reactors at the Hinkley Point site in southwest England, the Paris-based utility said in a statement released Monday. 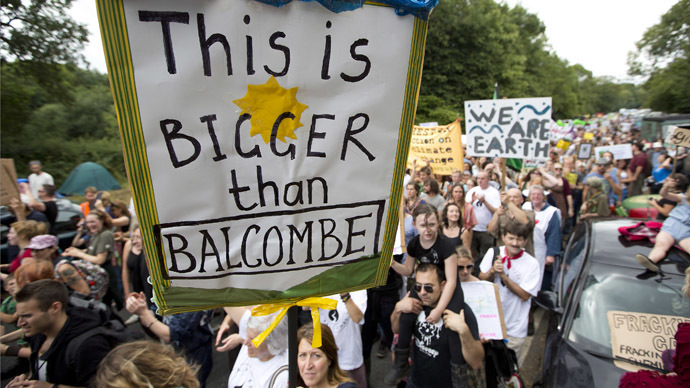 This will mark the first nuclear construction since Japan’s Fukushima disaster and the first in Great Britain since the Sizewell B power station opened in 1995. EDF will hold a 45 to 50 percent stake in the pressurized water reactors that will have the capacity to produce 7 percent of UK electricity and power up to 7 million homes. “This also marks the next generation of nuclear power in Britain,” Prime Minister David Cameron was quoted in the statement. Under the 35 year contract, the consortium could build a second plant to the Sizewell site in Suffolk. 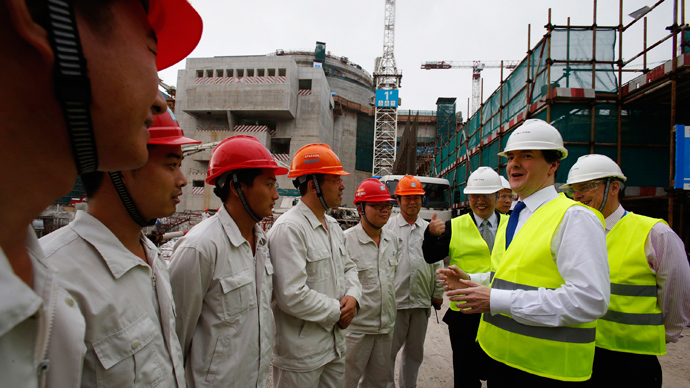 The UK government will provide loan guarantees for 65 percent of the construction financing. “This deal means 16 billion pounds [$26 billion] of investment coming into the country and the creation of 25,000 jobs,” Cameron said, stressing the important role the project will play in helping the UK meet energy needs. China General Nuclear Corporation (CGN) and China National Nuclear Corporation (CNNC) will hold a 30 to 40 percent combined share and Paris- based Areva, will consult on the technology and design and have a 10 percent stake. Up to 15 percent in equity remains up for grabs, and there is a shortlist of candidates which are currently being discussed. The statement says the project will offer a “fair price for consumers”. It is a timely victory for Cameron as his coalition has come under scrutiny over rising electricity bills and the rising risk of blackouts. The deal is Cameron’s first in an attempt to attract £110 billion of investment into Britain’s outdated electricity industry by 2020. Electricity prices will be set at £92.5 [$150] per megawatt hour, and lowered to £89.5 [$145.9] if the second Sizewell plant is realized. Before final contracts are drawn up, EDF is waiting on state-funding from the European Union. 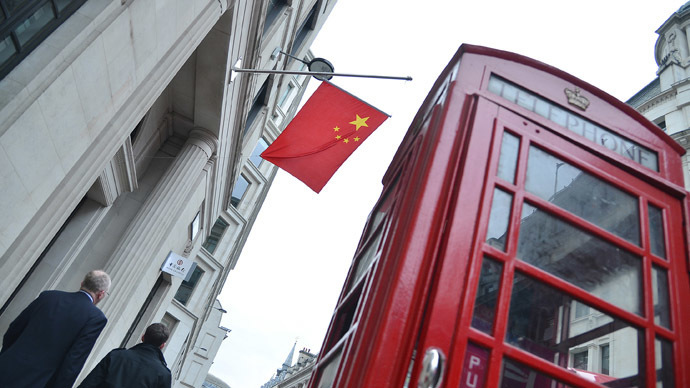 On the last day of his week-long trip to China, British Chancellor George Osborne hinted Chinese investors could grab up to a 100 percent stake in the venture. Recently China agreed to heavily invest into the first airport city project in Manchester, estimated at 800 million pounds, and the UK agreed to reform visa applications for Chinese residents. EDF is one of the UK’s ‘big six’ energy suppliers- along with Scottish Power, SSE, British Gas, Npower, and E.On- which have created a monopoly, sending household energy bills and the cost of living for average citizens sky-high. According to industry regulator Ofgem, energy prices have soared 24 percent over the last 4 years. The average fuel bill covering both gas and electricity- is $2,125 (£1,315) per household. UK households are currently paying the lowest retail gas and electricity price among the EU 15. Worldwide, the rising price of natural gas, has contributed to the increase in residential electricity price, however, UK citizens blame politics- the ‘big six’ price scheme as well as green technology policies. The Labour party, led by Ed Miliband, has strongly criticized Cameron for not standing up to big business, and has pledged to freeze prices if they take the 2015 election, a promise popular with voters fed up with rising energy bills. Cameron has said Miliband’s price freeze isn’t practical, as the government cannot control the worldwide price of natural gas. Consumers aren't buying the coalition's argument of rising wholesale prices, and have expressed anger towards energy companies. Nick Clegg, Leader of the Liberal Democrats, said consumers are essentially ‘stuck’ into buying the energy at the prices set by the ‘big six’.